Essential fatty acids, or EFAs, are fatty acids, as oils, that humans (and other animals) must ingest because the body requires them for good health but cannot synthesize them. The term "essential fatty acid" refers to fatty acids required for biological processes, and not those that only act as fuel Only two EFAs (parental oils) are known for humans: alpha-linoleic acid (an omega-3 fatty acid) and linoleic acid (an omega-6 fatty acid). Other fatty acids often consumed are only "conditionally essential", most of which are derived from the basic EFAs. The EFAs are polyunsaturated fatty acids (PUFAs), often found in seed oils, in contrast with saturated fats that we commonly associate with body fats in animals. In essence, the human body needs these parental oils for normal growth and biological construction-just as the seeds need them for stimulating new plant growth. We require other fatty acids for fuel and often to overcome deficiencies in our diet. 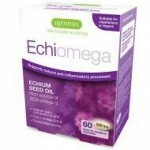 Actions of the ω-3 (Omega-3) and ω-6 (Omega-6) essential fatty acids (EFAs) are best characterized by their interactions; they cannot be understood separately. If we get imbalance in the parent oils we consume, or have deficiencies, or damage these oils in our food preparation then we have a higher risk for ill health or degenerative disease. The derivative fatty acids EPA and DHA found commonly in fish oils (eg cod liver oils), and GLA (commonly found in other seed oils, eg evening primrose) are often thought as part of the EFA oils. They can have vital therapeutic properties whereas the parent oils are usually the better foundation for good health. intolerances should be identified and minimised. Food intolerances should be identified and minimised. 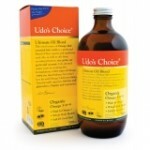 Auto-immune: Additional parental oils plus 1 to 1.5g/day EPA/DHA & plenty of raw vegetable juices. Check food intolerances. 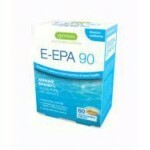 Vegans & vegetarians: Algae based EFA derivatives are available instead of fish oils. NOTE: Possibly the best way to consume fatty acids is combine with MCT oils (medium chain tryglyceride) and with high quality undenatured whey powder or with low fat cottage cheese. 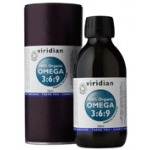 Ensure any parental oils are cold pressed organic virgin and any supplementary fish oils are from preferably south atlantic or artic fish stock. What are the signs and symptoms of essential fatty acid deficiency? Experiencing several of these symptoms is a strong indicator of EFA deficiency or imbalance. Essential fatty acids, or EFAs, are fatty acids, as oils, that humans (and other animals) must ingest because the body requires them for good health but cannot synthesize them. Only two EFAs (parental oils) are known for humans: alpha-linolenic acid (an omega-3 fatty acid) and linoleic acid (an omega-6 fatty acid). Other fatty acids often consumed are only "conditionally essential", most of which are derived from the basic EFAs. The EFAs are polyunsaturated fatty acids (PUFAs), often found in seed oils, in contrast with saturated fats that we commonly associate with body fats in animals. In essence, the human body needs these parental oils for normal growth and biological construction-just as the seeds need them for stimulating new plant growth. 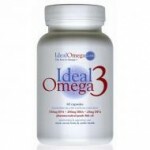 We require other fatty acids for fuel and often to overcome deficiencies in our diet. If we get imbalance in the parent oils we consume, or have deficiencies, or damage these oils in our food preparation then we have a higher risk for ill health or degenerative disease. Deficiencies in EFAs in prenatal women’s diet can have a significant impact on their baby’s health. It is often conjectured that the changes in food industrialisation and farming practices have changed the balance and quality of EFAs in our diet and have been instrumental for the major increases in degenerative diseases as seen throughout the twentieth century. These changes in EFAs, and the consequent health issues, have been compounded with the increase use of refined carbohydrates (particularly sugars). Together they change the nature of the lipids in blood metabolism. Humans are believed to have made a major evolutionary (and genetic) leap forward when oily fish was being used regularly in their diet. These fishes are rich in fatty acids and the derivative fatty acids- particularly those omega 3 fatty acids known as EPA and DHA. It is difficult to get these extra derivatives from a vegetarian based diet.